The AIADMK has released a list of 203 people, saying they died of "shock" over the death of party chief and former Tamil Nadu Chief Minister J Jayalalithaa on 5 December. 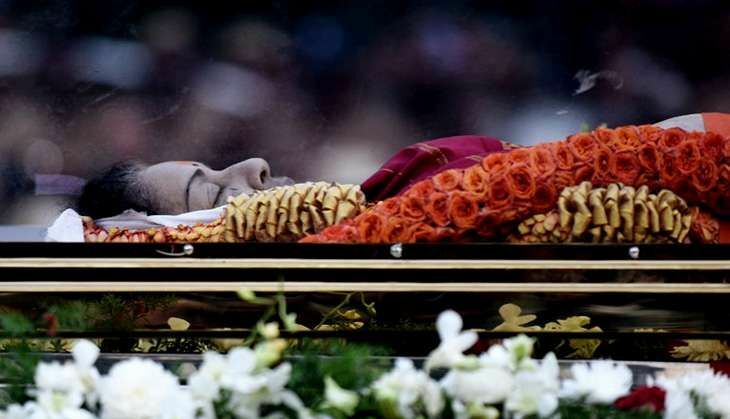 The AIADMK says a total of 280 people have died due to shock over Jayalalithaa's death so far. The party headquarters released the list containing the names of 203 people from different parts of the state, including Chennai, Vellore, Tiruvallore, Tiruvannamalai, Cuddalore, Krishnagiri, Erode and Tirupur districts. The party condoled their death and announced a welfare fund of Rs. 3 lakh each to their families. Earlier, the party had said that 77 persons had died of shock and grief following Jayalalithaa's death and announced a similar sum as relief to the dead persons' families. Hospitalised on 22 September and having suffered a cardiac arrest on 4 December, the 68-year-old chief minister died on 5 December.